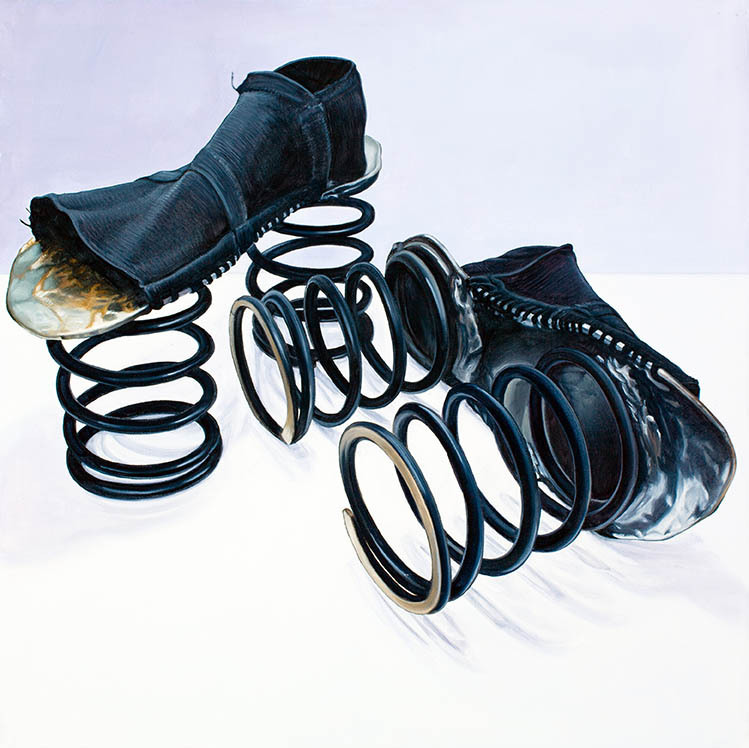 In 2008, KJ Shows began working on a series of oil paintings paying homage to a variety of contemporary artists worldwide. 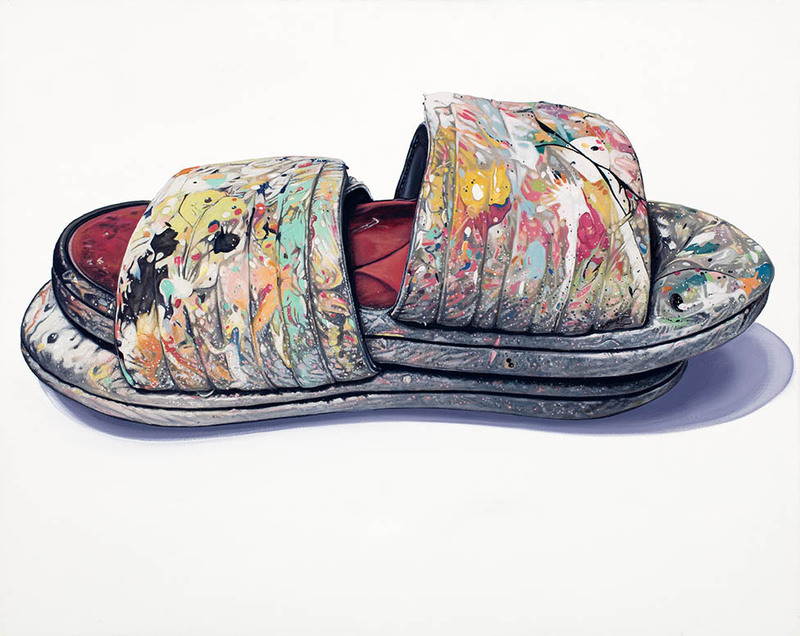 Connecting with them personally by mail, Shows asks each artist for a pair of shoes that they feel best represents them. 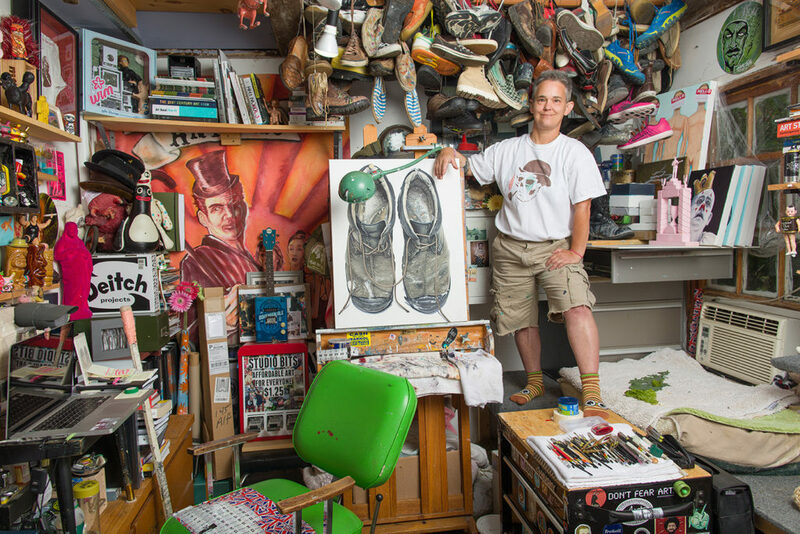 She then creates paintings that are unconventional and non-judgmental portraits. 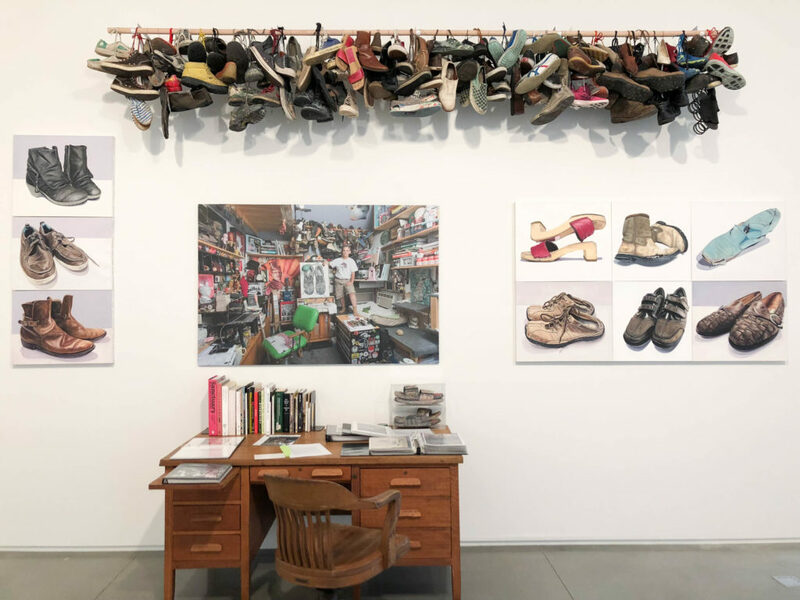 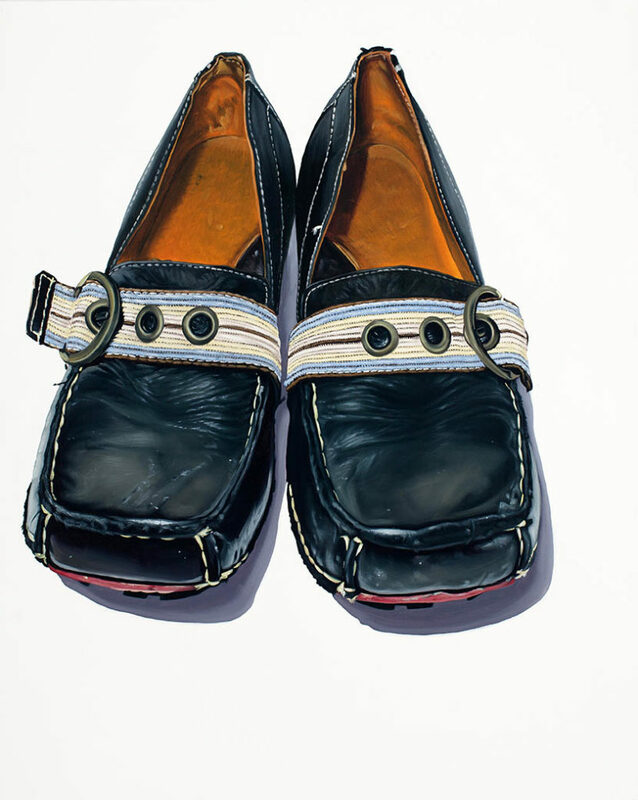 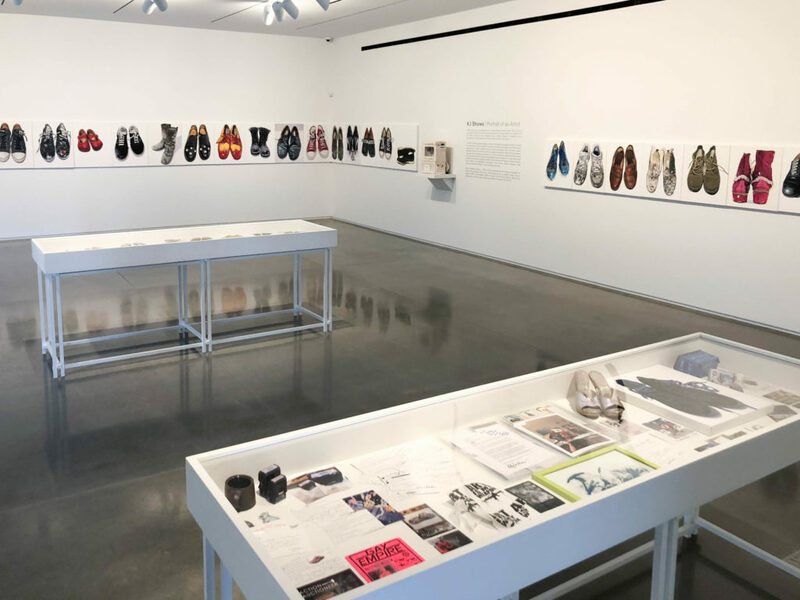 With continued positive response from participants, the series has come to include the shoes themselves along with a growing collection of ephemera, correspondence, and photos. 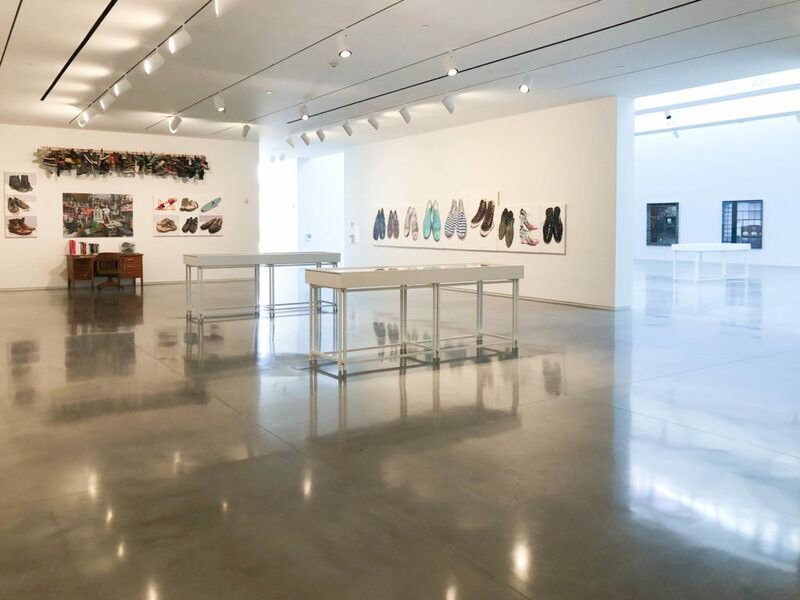 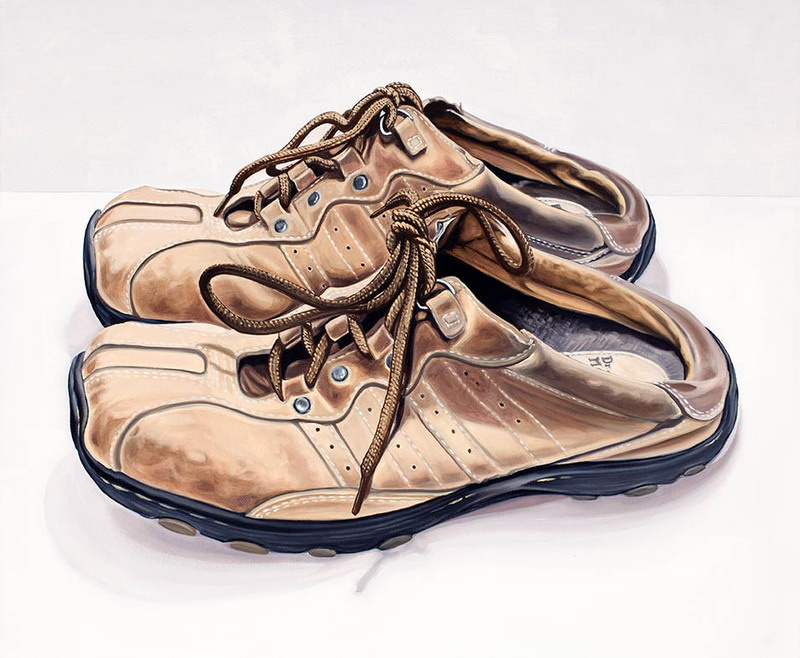 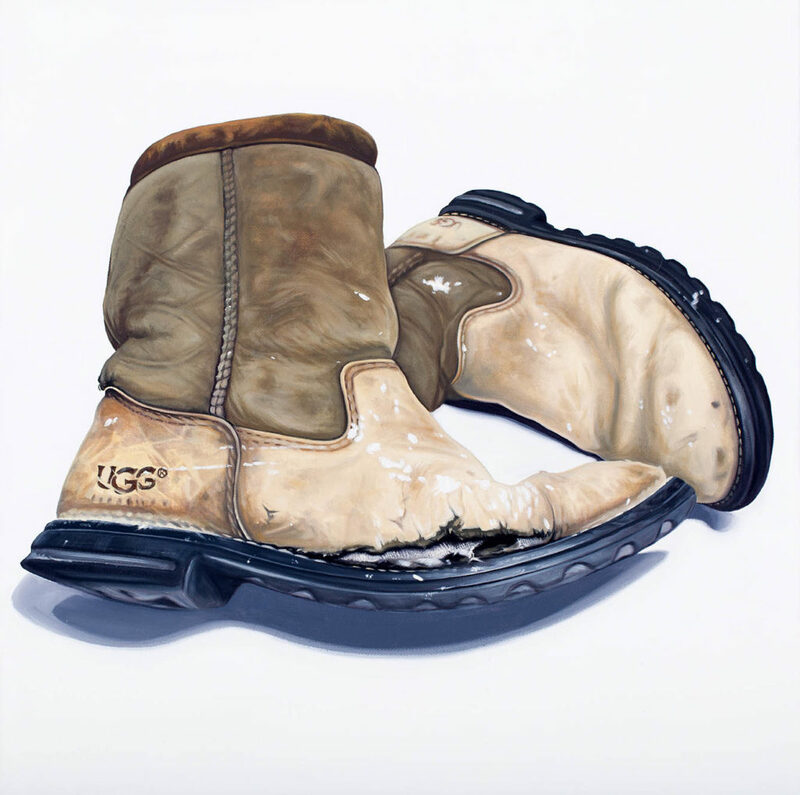 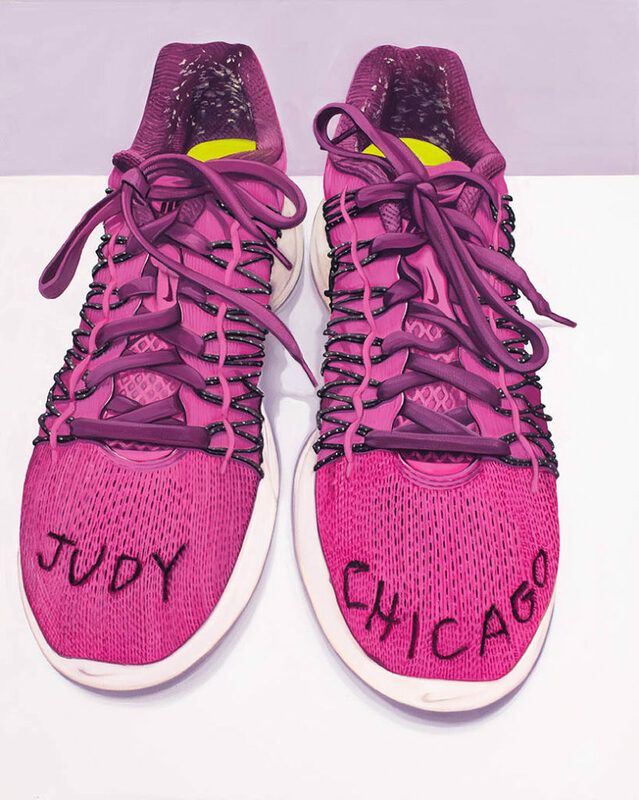 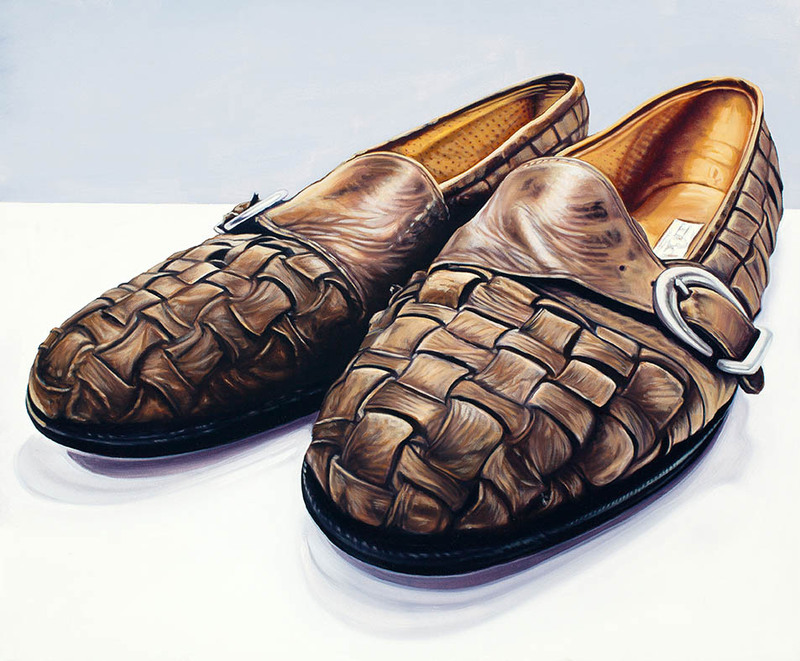 To date, Shows has painted over 100 shoe portraits of both world renowned and obscure artists, including Jamie Wyeth, John Baldessari, Ed Ruscha, Jenny Holzer, William Wegman, Judy Chicago, and Annie Sprinkle…and the list keeps growing. 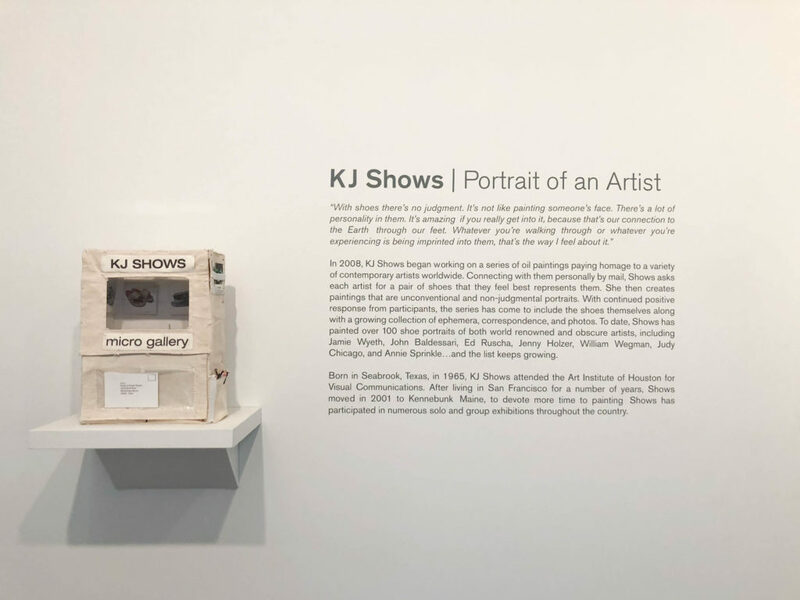 Born in Seabrook, Texas, in 1965, KJ Shows attended the Art Institute of Houston for Visual Communications. 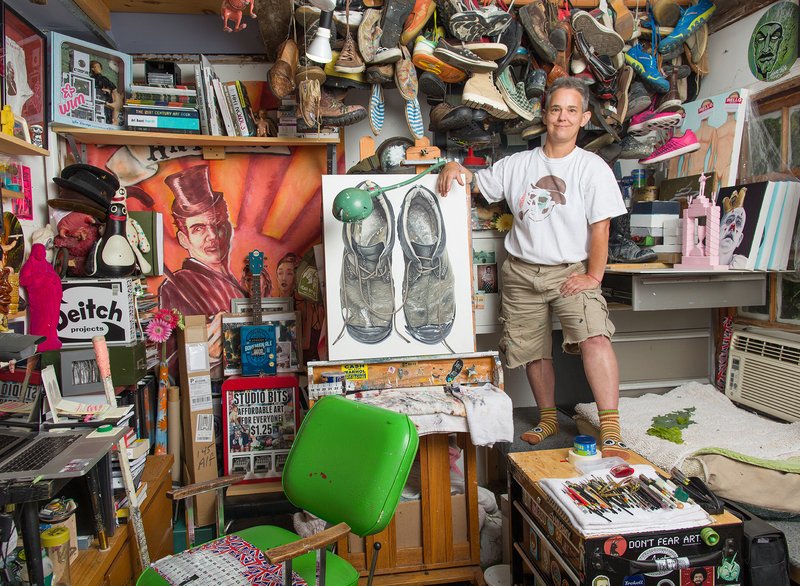 After living in San Francisco for a number of years, Shows moved to Kennebunk, Maine, in 2001 to devote more time to painting. 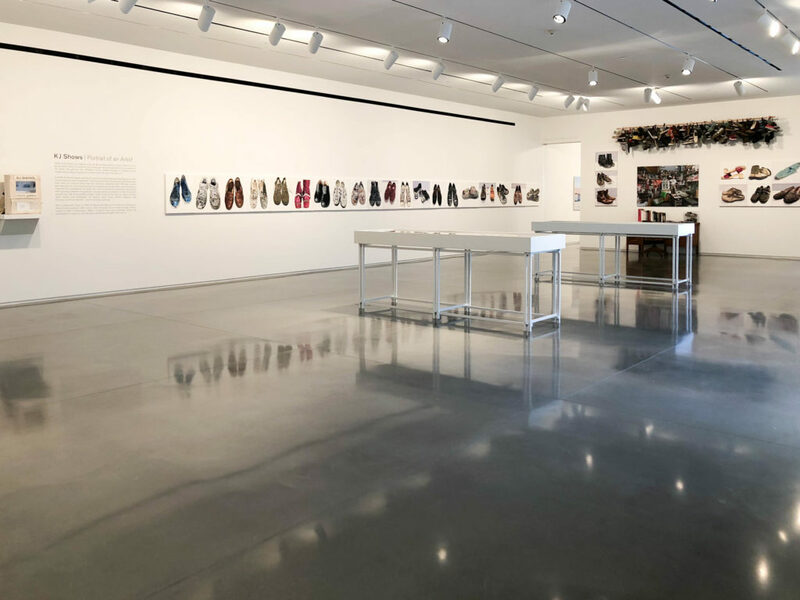 Shows has participated in numerous solo and group exhibitions throughout the country.